The ‘Bill strengthening internal security and combating terrorism’ was backed by 229 votes to 106 in the Senate, the upper house of the French Parliament, on Tuesday evening. The lower house, the French National Assembly, is to debate the proposed legislation in October. It will then have to be signed into law by President Emmanuel Macron, who initially introduced it to parliament. He has vowed to enact tougher anti-terrorist and security laws at the start of his term. #PJLSécurité : renforcer notre sécurité intérieure et lutter contre le terrorisme tout en préservant nos libertés. France introduced the state of emergency following attacks in Paris in November 2015 which saw over 130 people killed. It was re-extended on several occasions. The current iteration was extended earlier in July and will last until November 1. Police and administrative authorities are given more powers under the state of emergency. Under the new bill, some measures within the state of emergency may become permanent. The bill says that prefects (the state's representatives in a department or region) will receive special powers to secure any major cultural, sport or entertainment event. For instance they will be allowed to set up perimeter protection at the event. House searches and seizure of weapons have proved to be effective during the state of emergency, so the bill will continue with this measure, French Interior Minister Gerard Collomb said. The legislation will also allow the authorities to debate on the closure of the places of worship suspected of radicalization. It envisions extra surveillance measures against those suspected of terrorist activity, as well as stronger border control. “We want to come out from the state of emergency, but we can't do so without counter-terrorism controls in place,” Collomb said, adding that the law would combat the “ever present” terrorist threat in the country. On Tuesday, right before the Senate’s vote, protesters against the bill marched in Paris. “State of emergency, police state! We will not lose our liberties,” the demonstrators chanted. “Against the state of emergency! For our rights and our freedoms!” the organizers of the event, a group dubbed Demosphere, said in a statement. 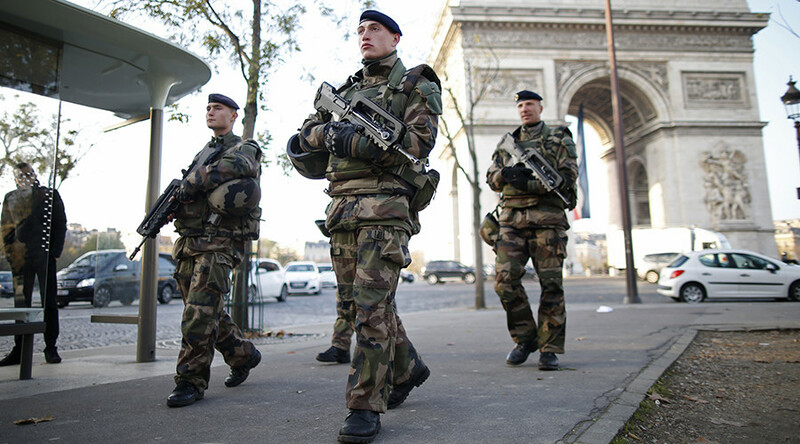 “Instead of truly ending France’s 19-month temporary state of emergency, the government is making some of its far-reaching powers permanent, but with little effective court oversight,” said Kartik Raj, Western Europe researcher at HRW. “What would happen, Mr. President, if France were hit by another terrorist attack in the coming months? Would you propose yet another bill?” France Director of HRW Bénédicte Jeannerod said earlier in July. In May this year, Amnesty International said that emergency laws have not been used to protect civilians since the 2015 Paris attacks, but to restrict their human rights.